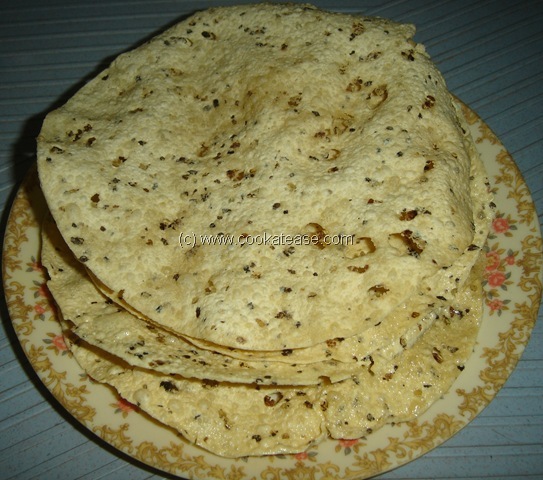 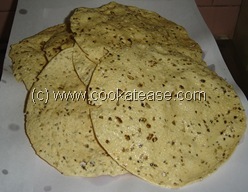 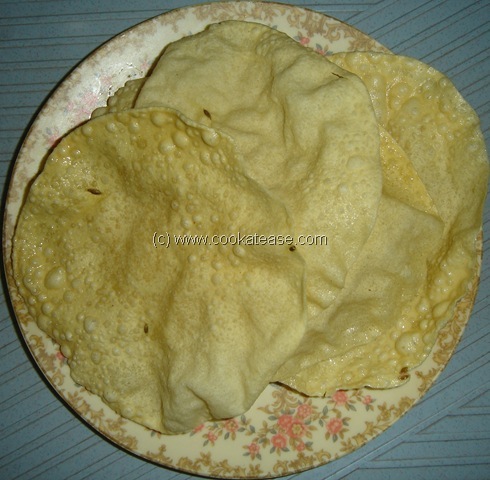 Papad (Appalam) is a popular dish all over India and is suitable for all occasions. 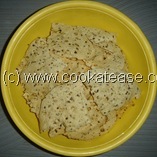 Crisp papads can be prepared either by deep frying or in microwave oven. 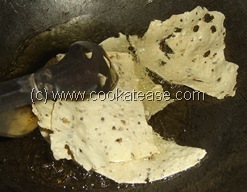 If you want to use less oil to deep fry, cut the papad into half or quarter pieces and fry. Soon after deep frying, place it on plain white paper to absorb excess oil. 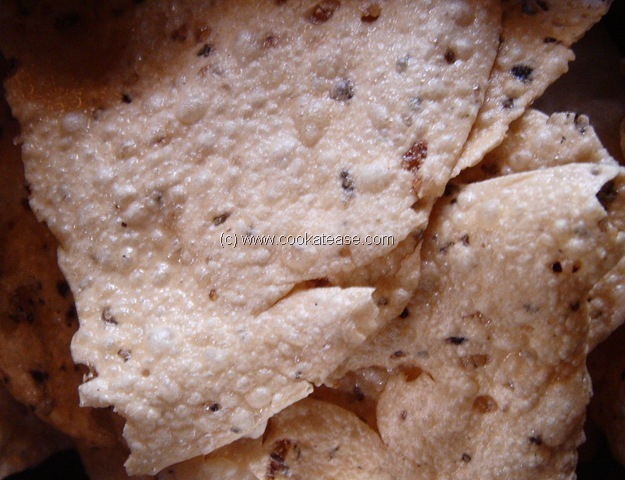 Regulate oil temperature to avoid dark over fried papads. 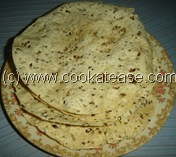 Store fried papads in air tight container immediately after cooling down to keep them crisp for longer time. 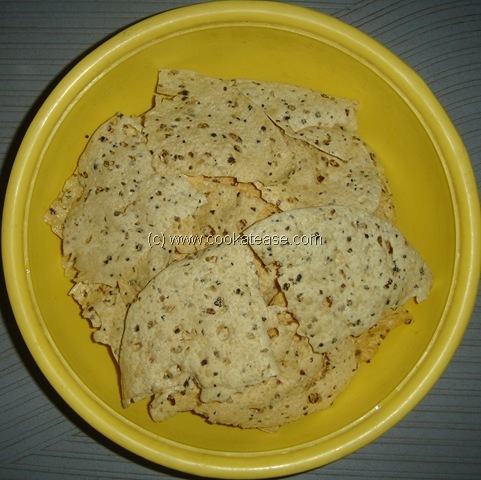 For more details on papads available in market, visit Ambika Appalam Depot, Lijjat Papad.